In 1842 Robert Haviland left America to set up his factory in Limoges. Ever since, the name Robert Haviland & C. Parlon has been synonymous with excellence. 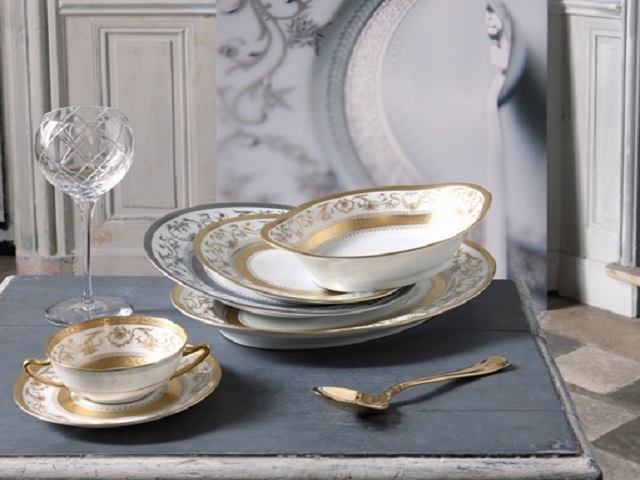 Creative spirits grace Limoges porcelain to bring you innovative, sleek, and chic collections. Robert Haviland's porcelain is more than chinaware. It is intricate art for the table. A fresh take on classic designs. Imaginative interpretations mingle with modern day functionality. The result is contemporary china for those special occasions. With unique shapes, decorations and production expertise, Robert Haviland has successfully distinguished itself from other designers. Adding to today's chic tableware, Robert Haviland creates a dynamic presence in any setting.